The Wheeler Opera House has been an integral part of Aspen nightlife, history, and culture since 1889 when Mr. J.B Wheeler and the Conried Company presented The King’s Fool. While the building started out as an Opera House, it was only used for town meetings and such by 1893, when the silver mines had played out. The Wheeler Opera House remained open until 1912 when it was gutted by not one, but two fires in one week! The Opera House did not open again until June of 1946 when it was leased by the Aspen Company. The total restoration went on until 1960. Between the years of 1912 and 1946 the Wheeler Opera House remained empty, and it was used as a playground by the local children. During the 1960’s and 1970’s, The Wheeler Opera House was mainly used as a movie theater. However, in 1979, the city decided to restore the Opera House to its original grandeur, and this restoration was completed in 1984. The cost was 4.5 million dollars. Today, the Wheeler Opera House is on the National Registrar of Historical Places. Many events, such as lectures, concerts, plays, films, and musicals are held at there today. You can see Broadway shows, jazz concerts, country and rock concerts, and even children’s theater here. Any type of cultural event you can imagine is held here – and shows are scheduled throughout the year. Locals consider the Wheeler Opera House the ‘crown jewel of Aspen. ’ Nationwide, it is considered a world class theater – and with the detailed woodwork it is certainly a sight to behold! 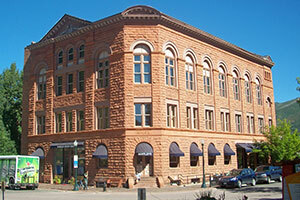 The Opera House is still in its original location on Hyman Avenue, in the heart of downtown Aspen. You can call to find out what events are planned, and to purchase tickets. Remember that this is a popular place, and shows do sell out quickly – so purchase your tickets as early as possible. You should also be aware that children under the age of three years old are not permitted for live performances, unless the performance is for children specifically. Cameras and recording devices are not permitted for performances. The Wheeler Opera House can also be rented for a variety of special occasions and events, such as parties, receptions, weddings, conferences, and seminars. Events such as these are usually held on the second floor, where guests will enjoy a breathtaking view of Aspen Mountain, as well as the city.